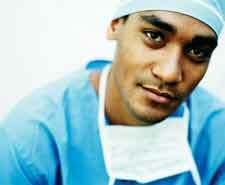 Census data bears out the popular perception of Indian Americans as doctors and techies. Indians are five times as likely to be in the computer/scientific sector and twice as likely to be in health services as the national population. Overall, almost 60 percent of all Indians are employed in professional occupations, substantially higher than the national average. As a result, Indians have the highest occupational prestige score, which is measured by the Socioeconomic Index (SEI) and reflects high skill professions. Business ownership rates among Indians is almost at par with the national average.